International quality of life survey for Multifocal Motor Neuropathy (MMN) patients gives insight into diagnosis and treatment. Santa Ana, CA, September 29, 2016 – The Neuropathy Action Foundation (NAF) announced the results from the first ever international Multifocal Motor Neuropathy (MMN) Quality of Life (QOL) Patient Survey. The survey focused on three primary areas: timely and accurate diagnosis, efficacy of treatment, and the impact of the disease on patient’s quality of life. “Early and accurate diagnosis can mean the difference between MMN patients being successfully managed or becoming permanently disabled,” said NAF President Dominick Spatafora. “Timely intervention can make a difference in patients’ lives.” The NAF believes these survey results will increase awareness and action among researchers, providers, the general public and public policy officials. The majority of the 214 patients completing the survey were from the United States (71.15%) and the United Kingdom (6.73%) with respondents from 22 other countries also contributing to the results. While the majority of patients reported that they were diagnosed between the ages of 41 and 65 years (56.52%), more than 67% of those completing the survey reported that it took more than one year to be diagnosed. Of these individuals, more than 44% reported that it took 2-3 years or longer to be accurately diagnosed. The majority of the misdiagnoses were reported by Neurologists (54.60%) and Family Care Providers (20.69%). The data also showed that 51.96% of the respondents had conduction block, a characteristic finding of the condition. “It is very clear that we need to do a better job at accurately diagnosing these patients. The sooner we can identify MMN, the sooner we can start individuals on the proper therapy, alleviate their symptoms and improve their lives,” said Jonathan Katz, Chief of Neuromuscular Services at California Pacific Medical Center. When asked about treatment options, 91.43% reported receiving intravenous immunoglobulin (IVIg) and 8.57% reported receiving subcutaneous immunoglobulin (SCIg) therapy. A reduction in symptoms was reported within one week of their first Ig treatment by 36.30% of respondents. Only 6.67% reported that IG did not help them manage their symptoms. If recommended by their Neurologist, 81.05% would consider SCIg treatment. Half of all participants in the survey stated that MMN often or always interferes with their employment and 56% said it impacts their overall quality of life. Basic tasks such as turning a key in a lock are either difficult or impossible for 53.24% of the MMN patients participating in this assessment. The data showed that 61.19% were either unable or had difficulty buttoning a shirt, though 61.62% are able to shop and run errands by themselves. While 58.38% of survey participants said that they had difficulty falling asleep at night due to MMN, 77.66% reported daytime sleepiness. A more detailed analysis of the survey findings is available on the NAF website. Click here. Multifocal Motor Neuropathy (MMN) is a rare condition in which multiple motor nerves are attacked by one’s immune system resulting in weakness and muscle wasting without the loss of sensation. The condition affects no more than 1-2 in every 100,000 individuals worldwide. Though the cause of MMN is unknown, treatment with intravenous immunoglobulin (IVIg) can lead to improvement in most patients with the response varying from minimal to very large. 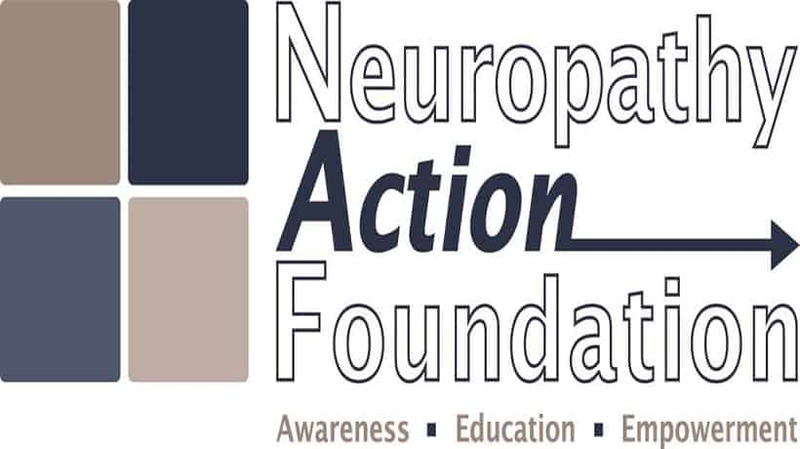 The Neuropathy Action Foundation (NAF), a 501(c)(3) nonprofit, is dedicated to ensuring neuropathy patients obtain the necessary resources and tools to access individualized treatment to improve their quality of life. The NAF increases awareness among providers, the general public, and public policy officials that neuropathy can potentially be a serious, widespread and disabling condition, which may be treatable when appropriate medical care is provided. For other organizations with resources and information about peripheral neuropathy, visit our “Additional Resources” web page. Thank you for your comment. It’s true there is no cure for peripheral neuropathy yet, nor is there a single treatment that works for everyone. Your support of the Foundation for Peripheral Neuropathy helps us continue our support of research through the Peripheral Neuropathy Research Registry and our Research Symposium. We also serve as a reliable, ongoing source of up to date information and education for everyone who is touched by peripheral neuropathy. There are some types of neuropathy (diabetic and chemo induced neuropathy for example) that may benefit from early treatment that may slow down the progression of the condition. First is through our Peripheral Neuropathy Research Registry through which we hope to facilitate research and hopefully identify bio markers. Second is through our International Research Symposium which brings together researchers from the pharmaceutical industry, academia, the government and others for a one of a kind opportunity for them to share and discuss their work and collaborate.